Regenerative Medicine uses the body’s natural healing mechanisms to repair joints and other body tissue. Stem Cell Therapy and PRP (Platelet Rich Plasma) Injections are two minimally invasive alternatives to healing your knee, hip, shoulder, elbow, or other parts of your body. Regenerative Medicine is a great way to avoid the need for artificial replacements, the risk of blood clots and other surgical complications, and to shorten the amount of time required for recovery. Knee replacement surgery is a common procedure where a metal prosthetic implant is inserted in place of the knee joint. The invasive nature of the surgery makes it highly risky and requires 3 months to a year of recovery. Regenerative Medicine presents a non-surgical approach to correct knee conditions that otherwise usually need knee surgery. Stem Cell Therapy is a treatment where we derive adult non-controversial stem cells from the patient’s fat cells or bone marrow and inject them into the damaged area to heal the injury at a faster pace and with better resulting pain relief. Knee arthritis treatment is now highly successful using stem cell therapy for knee arthritis. 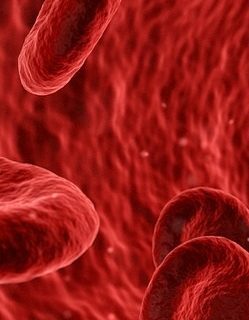 Platelet Rich Plasma Therapy utilizes the plasma found in our own blood that has many growth factors and repairing properties. The patient’s own blood sample is taken and processed to obtain the PRP concentrate which is then injected to the site of damage to encourage a speedy healing. Hip replacement surgery is a common procedure where damaged bone and cartilage are removed and replaced with prosthetic implants. With advances in technology it is one of the major ways to treat chronic hip problems, despite the invasive nature of the procedure which can lead to an infection and a recovery period of 6 months to a year. Regenerative Medicine has made it possible to treat chronic hip conditions without a long or painful rehabilitation. Stem Cell Therapy is a treatment where we derive adult non-controversial stem cells from the patient’s fat cells or bone marrow and inject them into the damaged area to heal the injury at a faster pace and with better resulting pain relief. The risks for a typical shoulder surgery include damage to an artery or to ligaments, blood clots or infection, and joint stiffness or fractures. Regenerative Medicine enhances the healing processes of the body to repair the damaged tissues quicker and in a natural manner. Elbow surgery entails several risks and a painful rehabilitation period. For people who want to avoid the risks of surgery but do not want to endure the pain of an elbow injury, Regenerative Medicine presents non-surgical treatments that can encourage an accelerated recovery from chronic elbow pain. 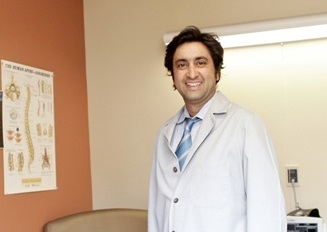 Our regenerative medicine expert has over 20 years of experience with Pain Management and currently serves as the Medical Director of the Pain Management Institute. Dr. Anwar completed his Anesthesiology residency at Cook County hospital and his Pain Management fellowship at University of Vanderbilt.